Life On Flow. – freedom. legacy. overflow. worship. On December 31st, Life On Flow came into existence. On paper, it’s not really a name change. S.J.Mak Music LLC still exists, but Life On Flow marks a shift from a “services” based company. Since 2014, I’ve had the privilege of recording several artists, and even producing albums. Stuff I’d only wished for in the past. And it’s been great! At times though, that work has become a little burdensome under the workload of a husband/father/ministry participant at church. Not to mention, working alongside other creatives to bring their vision to past can be both rewarding and, at times, tiring. And for relatively low amounts of compensation (too low in the opinion of some family and friends, lol). If you’re a ‘creative’ then you probably understand where I’m coming from. So are you no longer doing recording/producing/mixing/etc.,? I’m not stopping the services altogether, but I am shifting in the direction I feel God leading me into. Thank you for your support over the years. I pray you continue to do so. For my birthday this past June, my wife bought me a wall-mountable pull up bar. I haven’t finished putting it up yet…and it’s August. So today after church and dinner, with my daughter taking her much needed nap, I decided to work on it. The instructions said to put the actual pieces of the pull up bar together before mounting it to the wall, which I managed to do while Mrs. SJMak and I watched an average movie on Netflix. Drilled one set of holes fine. Went to the other side and…wellp, that’s not a stud. I think there is concrete behind a portion of my wall. Who does that?!? This is the second home I’ve had the privilege of buying. But any homeowner who has owned a home for more than a month knows that stuff comes up. And with the stuff comes money and handyman work. I like the thought of being a handyman; handling issues around the house, while my wife sings my praises (lol). But how many of you know that handling house stuff is NEVER straight forward. There’s ALWAYS something I wasn’t prepared for. Lately I’ve learned something about myself; Sometimes I have a tendency to back down when challenges present themselves that I wasn’t prepared to handle. In SO many areas. At this point in my life, the message that keeps flooding my spirit is this…if you expect to get anything worthwhile out of life, you CAN’T BACK DOWN. You have to learn to face challenges head on, fearlessly. That thing that makes you stop, go inside, and watch TV on the couch instead of being productive…FACE it. Stand flatfooted, stare it right in its eyes and face it head on. Today at Eighth Day Church, Pastor David Brinson spoke on ‘conditioning’ (click here to listen to Contagious Understanding Part 2); going through necessary disciplines to be the resilient and powerful people God designed us to be. That’s what the apostles did even before they performed the signs, miracles, and wonders we always speak of desiring today. 42 All the believers devoted themselves to the apostles’ teaching, and to fellowship, and to sharing in meals (including the Lord’s Supper[a]), and to prayer. 43 A deep sense of awe came over them all, and the apostles performed many miraculous signs and wonders. We can’t have the power without the conditioning. There are no shortcuts! So face it. You can either sit around being dissatisfied with life while you wait on manna to fall from the sky, or you can embrace the necessary pain and suffering that come from pursuing God and all that He has made available to you. Your choice. Now, back to this pull up bar. There is a promise from God for Your life. You may not know it. You may not have a big concept of who God is right now. But I’m telling you, there is a promise on Your life, and it’s straight from the Most High God. But it’s not going to fall into your lap; you’re going to have to fight for it. The fight of your life. The ONLY way you’re going to get the promise is after going through THIS thing first. The answer: a wrestling match with who some translations call a “man” or “an angel of the Lord”. They wrestled all night long, even after the man uses one single finger to pop Jacob’s hipbone right out of the socket; even still the fight persists. We give up too easily because we aren’t seeing what we’re supposed to see. Don’t give up. Don’t stop. Don’t let your expectation dry up. Don’t stop believing God for encounters. Don’t stop believing for revival. Bring it back to God and remind Him of His promise. He might test you to see how bad you want it. Are you willing to engage in the fight of your life to get it? Contend for the promise. It’s yours, but how bad do you want it? Presence Night – Deeper Fellowship Church. WOW. I took the featured image picture from my phone in the moments before the service, or ‘River’ started. The anticipation in the air was thick, even after about a 1.25 hour wait outside. My wife and I visited Deeper Fellowship Church in Orlando, Florida this weekend. It was not our first time…actually our third. But it was our first time visiting for Presence Night. I’d been looking forward to this for at least a year. Things started off with strong prayer and exhortation and the atmosphere was so ripe with expectation and desire for God…WOW. I have rarely experienced such a thing in corporate worship, but it resonates with me deeply in a way that only God seekers would understand. Worship was about 5 or 6 songs total…God centered and energetic. I’d venture to say that EVERYONE participated…yet again, a rarity in my opinion. Instead of a ‘going through the motions’ type of thing, it really felt like our worship was accomplishing something. I am sure that it was. Worship leader Trinity and the praise team WENT…IN…oh my goodness. Each song was telling of the very longings of my own heart, and were sung with a passion and a realness that made it easy to join in and give a more hearted effort myself. In the midst of, and after, worship, Pastor William McDowell, Pastor Caleb, and Pastor Theo were just flowing in the Spirit…what an amazing thing to behold. As they admonished us to pray and receive, rather than spectating, they laid hands on people and prayed as they were led, at times in a coordinated fashion that was, without a doubt coordinated by the Holy Spirit. There were several occasions where there were ‘waves’, in which it was clear that God was moving…not just at the altar, but throughout the entire room. Pastor McDowell kept reminding us that we could all have it if we would only receive. I absolutely LIVE for moments like this. Though I did not experience a dramatic encounter that night, my life was GREATLY impacted and I am SURE that my spirit received an impartation, and I was blessed just to see revival in ACTION. Without a doubt, I am compelled to take this culture of revival into my own home. Though I wish I could be at Deeper Fellowship Church every week, I at least know that I can and MUST have this culture in my own home. Thank you Pastor McDowell, Pastor Caleb, Pastor Theo, Trinity and the praise team, the musicians, and all the hungry people at DFC who have showed me that there is a greater move of God to be seen on the earth. We’ll be back. A LOT. Revival is a concept I have studied for the past 12 years. And it has become apparent to me that the Body of Christ is in need of it. Badly. The Bible makes it clear that we cannot truly reach our true potential as believers in Christ without the supernatural, dynamic power of His Holy Spirit. Otherwise, our programs, services, and attempts at outreach are mostly fleshly efforts at best. I have read about the ‘great revivals of old’, and they have always inspired me. But a church that has hugely inspired me for the past 3 years is Deeper Fellowship Church in Orlando, Florida. Pastored by William McDowell, the culture of this church screams revival. Manifestations of the power of God are commonplace there. Last I heard, they’d experienced over 150+ documented miracles within the last year or so. Miracles. Things that many of us dream to see in our lifetime; they’ve seen within a short period of time. But not without sacrifice. I am a witness to this; having visited twice. Each service (or ‘river’, as they term them) starts with a long line of people hungry for God standing outside the front door. Praise and worship does not follow the modern day, ‘church in an hour’ format that many churches do these days. It is truly a laborious, yet uplifting experience. And total service times usually go ‘UNTIL’…in an effort to allow the Holy Spirit to do everything He intends. Though totally unconventional, the methodology of this church is undoubtedly reaping a harvest…this is truly a sowing church. The podcasts have changed…my…life. PERIOD. They have fueled my pursuit of God in such a specific way that it’s almost scary. Access them easily by clicking here. 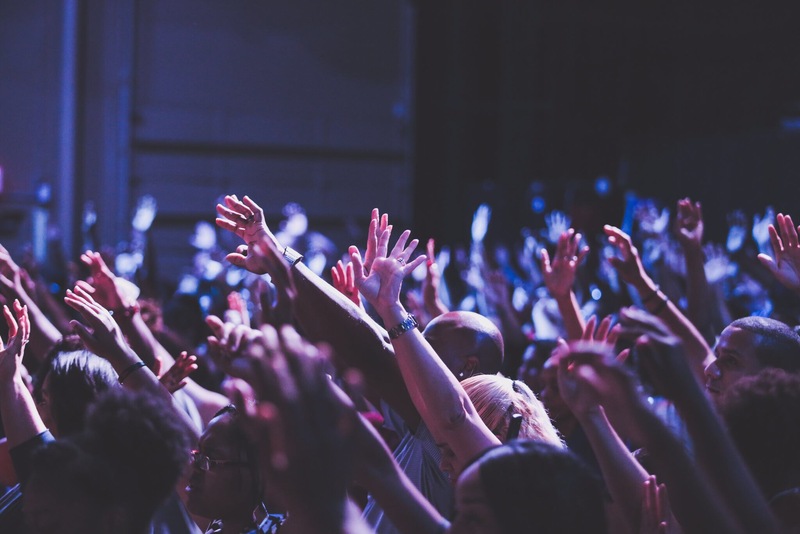 Until 2003, my definition of revival was a 3-5 night series of church services in which the choir would sing, a traveling preacher would deliver sermons, and a special offering was taken. After 2003, my definition of revival would grow to become MUCH, much more. Long story short…I had an encounter with God. I won’t go into the details now, but it changed my life forever. I had been a ‘by the book’ Christian and was proud of it, but all of that went out of the window after my encounter. This is resonating with someone right now. You love the Lord. You even like your church. But you’ve become disillusioned. Church services have become routine; you leave the same way you entered. Not that you want to…it just…happens. You want to know the God you keep singing about; hearing sermons about; praying to. You don’t crave the material things. You don’t want a nicer car. You don’t feel the driving desire to pray for millions of dollars. You crave MORE of Him. If that’s you, comment below. Let’s start a discussion. Let’s go deeper together. That feeling you get when you realize the good life ain’t all good. Physical copies available. $10. Visit the contact page to inquire about your own copy.